If you have been in Nigeria for these past few days, you must have heard of the suspension of the Chief Justice of Nigeria, Samuel Onnoghen by the President of Nigeria, President Muhammadu Buhari who was appointed by Vice President, Yemi Osinbajo when the President was out of the country in 2017. Today, this article will focus on the life of Samuel Onnoghen, so as to know more about him, it contains his age, educational background, career and the relevant aspect of his life that you should know, so sit back, relax and enjoy. He was born as Walter Samuel Nkanu Onnoghen on the 22nd of December, 1950 (69 years old) at Cross River State, in Okruike Town of Biase Local Government, Nigeria. His father was by name Nkanu Onnoghen. He started his education in Nigeria first, where he had his primary school education at Presbyterian Primary School located at his hometown (Okurike) which ended in the year 1965, after which he proceeded to Ghana, and had his secondary education at Odorgonno Senior High School at Accra and concluded in the year 1972. Although his WAEC was obtained from Accra Academy in the year 1974. He furthered his education at the University of Ghana where he studied Law and finished in the year 1977 and moved down to Nigeria and attended the Nigerian Law School in Lagos in 1978. He is married to Nkoyo Walter-Onnoghen and they have 4 children now. - 1978 to 1979: He worked as the Pupil State Counsel at the Ministry of Justice, Ikeja, Lagos. - 1979 - 1988: He was a partner at Effiom Ekong and Company (Law firm), Calabar. - 1988 - 1989: He became the Principal Head of Walter Onnoghen and Associates, Calabar, Nigeria. - 1989 - 1998: He became the High Court Judge of Cross River State, Nigeria. - 1998: He became the Chairman of Judicial Enquiry into Crisis between the students of UNICAL (University of Calabar) and the Obufa Esuk Orok Community in Clabar. - 2017: He was appointed as the Chief Justice of the Supreme Court of Nigeria when Professor Yemi Osinbajo was the acting President of the Federal Republic of Nigeria, this position as the CJN was confirmed on the 7th of March, 2017. WHY WAS CJN ONNOGHEN SUSPENDED? According to the President of Nigeria, President Muhammadu Buhari, Onnoghen was suspended as a result of a breach in the Code of Conduct Tribunal (CCT). 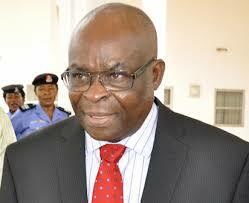 He was immediately replaced by Mr. Ibrahim Tanko Muhammed who is now the acting chief Justice of Nigeria.